Darjeeling: With a boom in homestays in the Darjeeling hills, owners have decided to come together to form a common platform to streamline the circuit which is allegedly suffering due to lack of co-ordination with the administration. Homestay owners from Darjeeling and Kurseong region on Monday held a meeting at Gorkha Dukha Niwarak Sammelan Hall and formed the Himalayan Homestay Owners' Association. Anil Gurung, the convener of the association, said: "Despite the state government coming up with a Homestay Tourism Policy in 2017, proper co-ordination is lacking with regard to homestay tourism. We also want to encourage responsible business by homestay owners." Members of the association said around 3,000 homestays had come up in Darjeeling and Kalimpong district of late. Speakers, however, pointed out that despite provisions for registration and incentives in the state's policy, the same had not been implemented. "Most of the homestays are merely running on a trade license issued either by municipalities or rural bodies," said Jeetu Pradhan of Blessings Homestay, Darjeeling. The owners alleged that various incentives laid down in the policy had not been implemented. "The policy has exempted luxury tax for three years and land conversion charges. Electricity and water charges are at domestic rates and property tax is as same as residential rate," said Gurung. 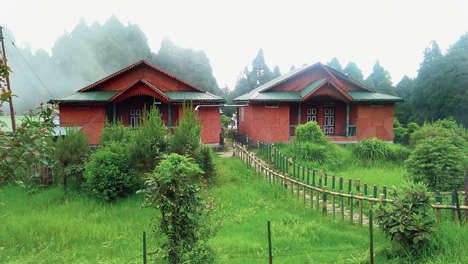 The homestays are to be registered for a period of five years by a selection committee comprising the director of the tourism department, managing director of the West Bengal Tourism Development Corporation and representatives of central ministry of tourism, district administration, municipal corporations, hotel management institutions and tour operators among others. Homestay owners also said certain changes needed to be made in the homestay tourism policy. With a boom in homestays in the Darjeeling hills, owners have decided to come together to form a common platform to streamline the circuit which is allegedly suffering due to lack of co-ordination with the administration.